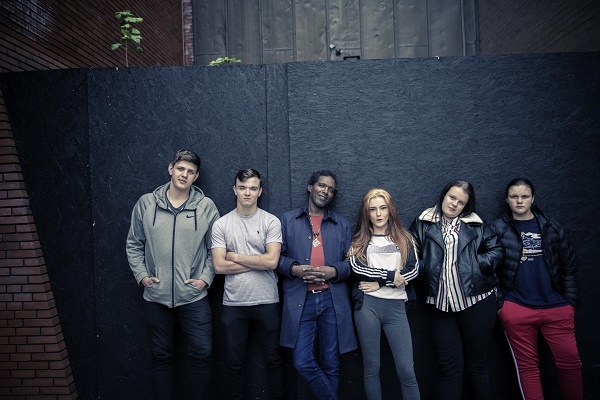 ‘Superkids – Breaking Away from Care’, broadcast on Channel 4 last November, was an emotional and powerful piece of television aimed at giving the young people a unique platform for their voices to be heard. It featured a group of our looked after children who worked with award-winning writer and performer Lemn Sissay MBE in a series of workshops exploring their feelings about being in care and writing poems to express them. It culminated in a performance of their work at the Belgrade Theatre. Viewers were moved to tears and heaped praise on the young people for sharing their stories. Superkids has been nominated for the prestigious Bafta TV award in the Specialist Factual category. Director of Children’s Services John Gregg said: “This nomination is fantastic news and is a testament to the bravery, skill and determination of all of our looked after young people. The project began when Expectation Factual approached the Council with an innovative idea for children to be given the tools to creatively talk about their care. Read more about Superkids from those who were part of it. The Bafta TV awards ceremony takes place on May 12.